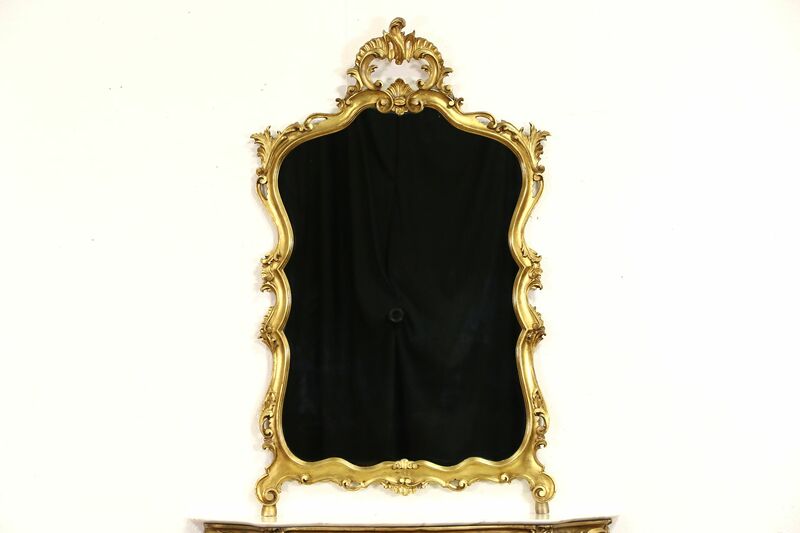 This palatial hall or mantel mirror was hand carved in Italy in the 1930's. The original burnished genuine gold leaf finish is in extremely fine condition on this palatial vintage furniture. Graceful curves are beautiful. Size is 32" wide, 3" deep and 53" tall. The matching console table in photos has a slightly darker finish and is priced and sold separately, call or email for availability.